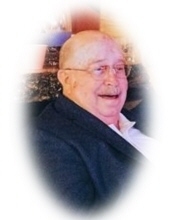 Richard Warren, age 80 of Danville, Ky. formerly of Williamsburg, Ky., passed away Sunday June 24, 2018 at Baptist Health Lexington. He was born March 10, 1938 in Williamsburg, Ky. to the late George Washington and Lillian Young Warren. Along with his parents he was preceded in death by 4 brothers; Carroll Warren, Marion Warren, William Warren and Fred Warren. He is survived by 2 children; Debra Smith (George) of Danville, Ky., Tim Warren of Melbourne, Australia, 4 grandchildren; Beth Goins, Joshua Smith, Elisha Warren and Jasmin Warren, 1 great granddaughter; Alexis Smith, several nieces, nephews and a host of relatives and friends to mourn his passing. A Memorial service will be at 10:00 am Saturday July 7, 2018 at Centenary United Methodist Church in Danville, Ky. with Pastor Scott Stith, Pastor Terry Morrison and George Smith officiating. Graveside service will be 4:00 pm Saturday July 7, 2018 at Highland Cemetery. Visitation in Williamsburg will be 3:00 pm Saturday July 7, 2018 until service hour at the Ellison Funeral Home Chapel. Military Honors will be conducted by American Legion Post 88 in Corbin, Ky.
To send flowers or a remembrance gift to the family of Richard Warren, please visit our Tribute Store. "Email Address" would like to share the life celebration of Richard Warren. Click on the "link" to go to share a favorite memory or leave a condolence message for the family.